A tire pressure monitoring system (TPMS) is an electronic system designed to monitor the air pressure inside the pneumatic tires on various types of vehicles. 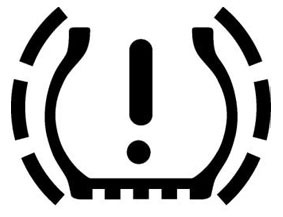 The U.S. government, through the National Highway Traffic Safety Administration, requires that all passenger cars, light trucks and vans (Gross weight less than 10,000 pounds) be equipped with a TPMS starting in model year 2008. Due to a phase-in of the requirements, 20 percent of model year 2006 and 70 percent of model year 2007 vehicles are equipped with TMPS.